Unicorn is one of the most adorable animals among kids. My daughter is a fan of unicorn cartoon, unicorn clothes, unicorn birthday cake, and anything unicorn and cat. As I knit a sweater for my son, my daughter wants me to make her a unicorn toy. 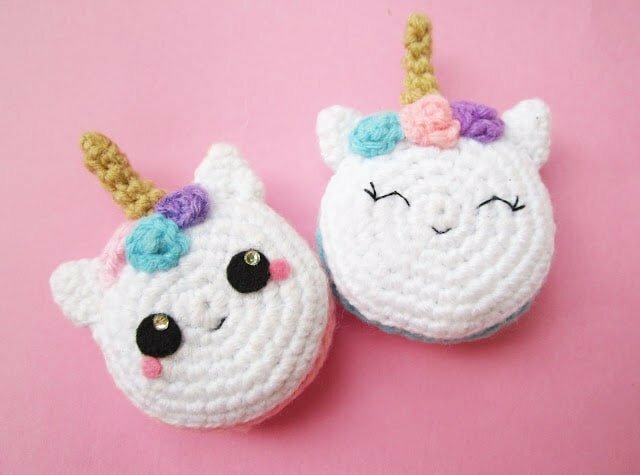 So, I decided to crochet a unicorn for her hence inspired me to create a blog post for crochet unicorn pattern. 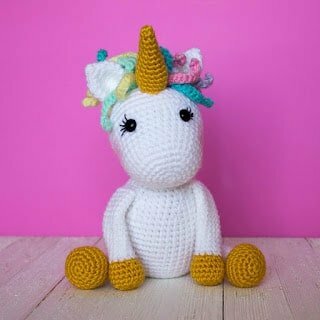 I have shortlisted these ten crochet unicorn patterns because they are free and well-written instructions. 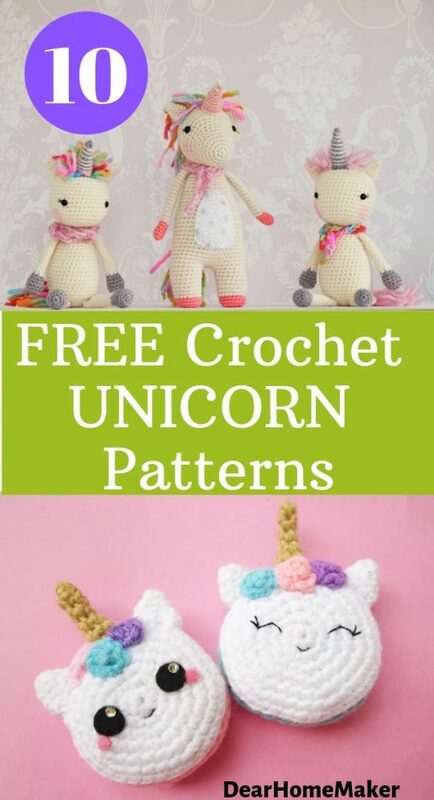 If you are looking for a crochet unicorn pattern then your search ends here. 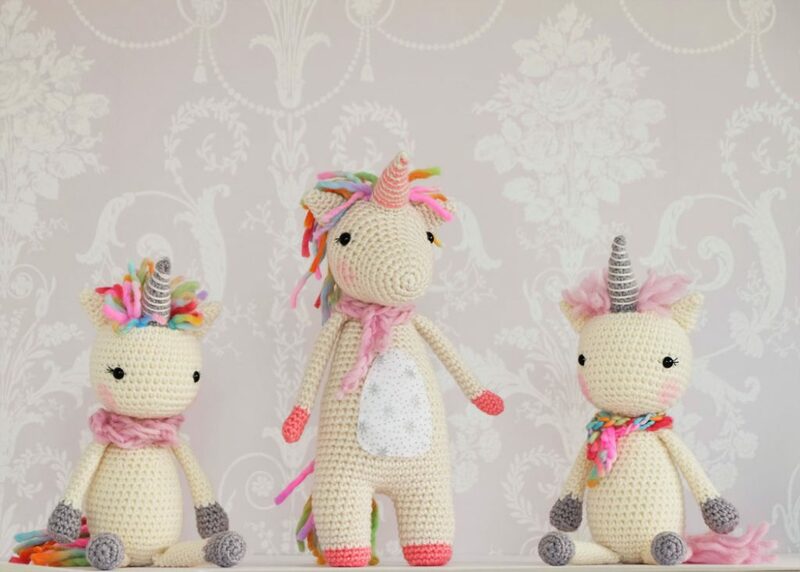 If you make any of these crochet unicorns then you can twist a bit and create your own version too. It’s not that hard once you understand the basics. 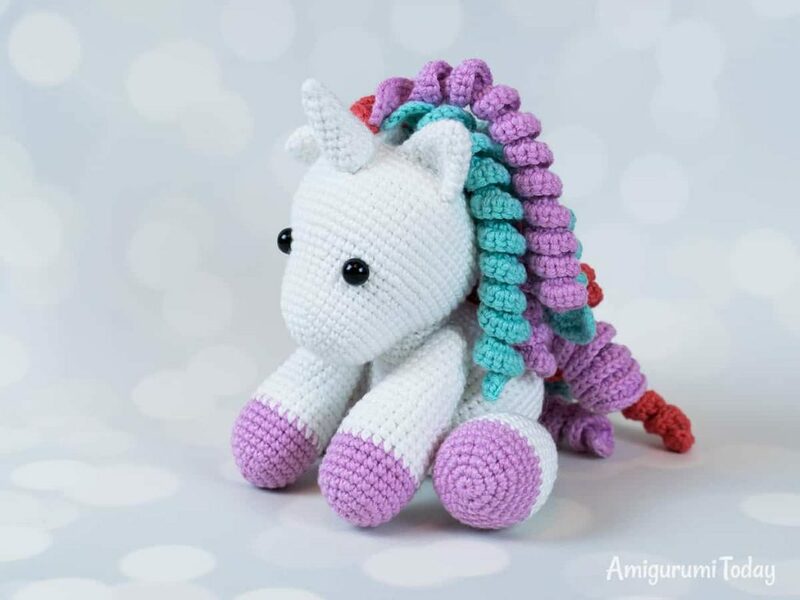 This beautiful free crochet unicorn pattern is from Amigurumi Today. Be creative and try different colors, preferably your girl’s favorite colors to make unicorn hairs. This unicorn pony is surely gonna bring a big fat smile on your child’s face. These crochet unicorn macarons are looking as delicious as the baked one. You know the best part is, you just have to make it once and it’s there forever. Get the free pattern from Paint It Colorful. WOW!, this is an epic design. Mermaid and Unicorn together in one avatar, Mermaid-Unicorn pattern. Thanks to Yazmina from Minass Craft for sharing this free design. Go visit the blog for detailed step by step instructions with photographs to make this adorable mermaid-unicorn. This unicorn girl looks so real. Look at the detailed work on the face. 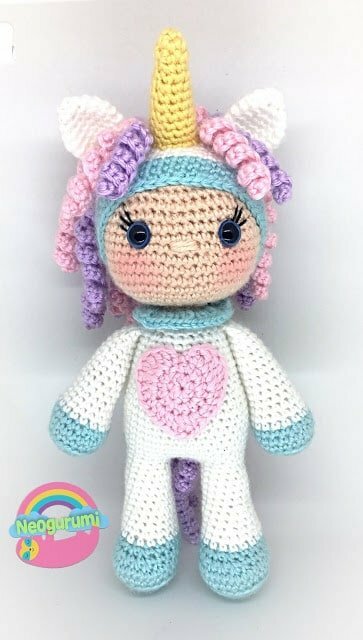 If you want to make this beautiful Unicorn girl for your sweetheart then the visit Neogurumi for the free pattern. You can make it one or you can make all three. This beautiful twinkle toes crochet unicorn pattern is created by Alison North. Get the full the instructions from the Hobby Craft. 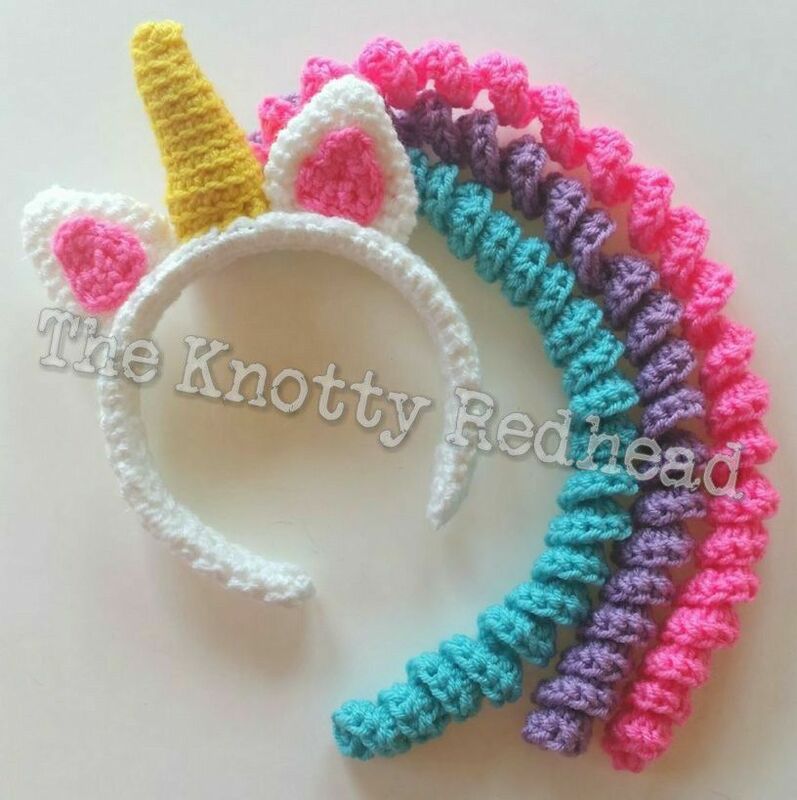 Kali from the Friendly Red Fox is the mind behind this beautiful crochet unicorn pattern. You can make this beautiful unicorn in pink, soft pink or any of your child’s favorite color. Enjoy, making this cute toy. 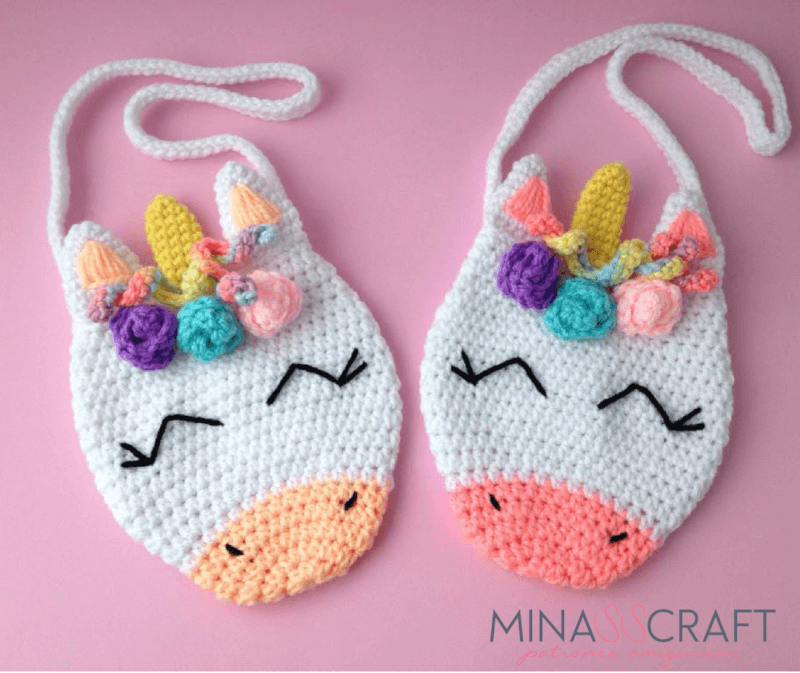 A beautiful crochet unicorn bag pattern from Minass Craft. I love the idea of not just a unicorn toy but something very useful like a bag for big girls. This bag pattern is very easy to follow so there is no excuse to not make one for your girl and one for yourself. This is a perfect gift for any girl- little or big. I would love to make one for my little girl and myself. What a colorful headband idea. You can add as many beautiful colors as you like. Get the full free pattern at The Knotty Red Head. 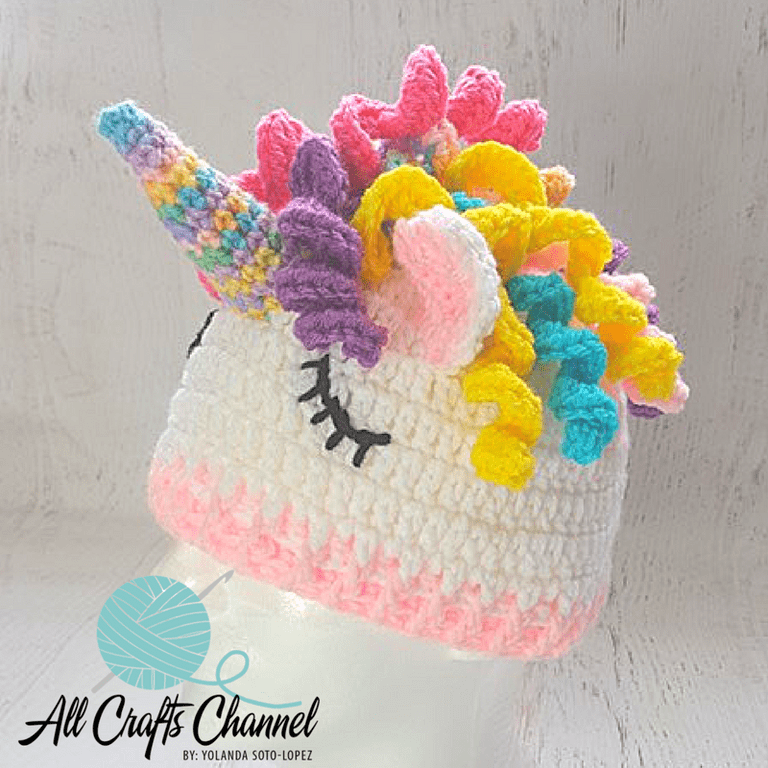 This crochet unicorn beanie is very easy to make and the very attractive. I love the colorful horn and many beautiful manes. Get the full free pattern at All Crafts Channel. 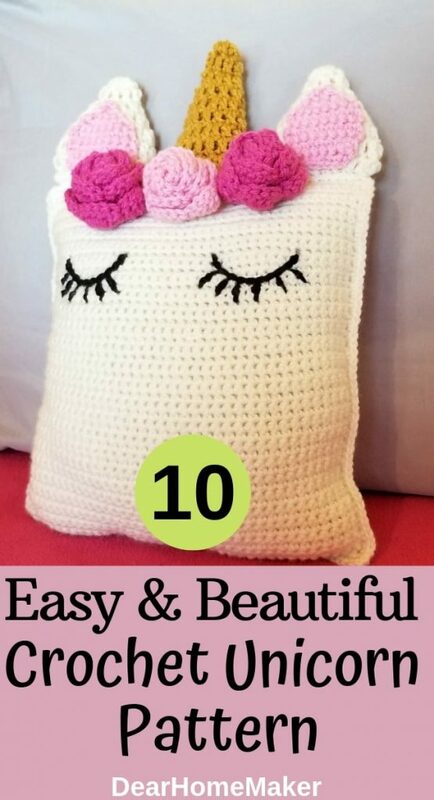 This cute and simple unicorn cushion would be loved by your little girl to snuggle. This pattern is simple and easy to make. It’s a good option to try your hands in crochet or making beautiful cushions. Get the free pattern on Hooked On Homemade Happiness. 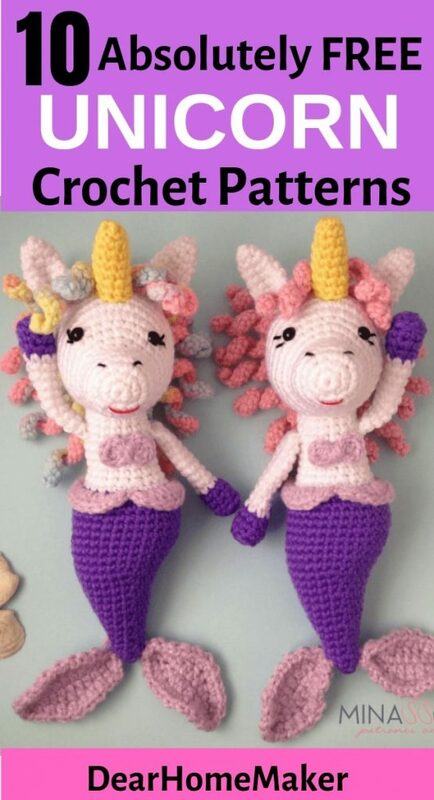 So ladies, make these lovely and beautiful unicorn crochet pattern and bring a BIG Smile on your girl’s face. It can be an awesome birthday gift too. So don’t wait too long, grab your hook and start making these awesome unicorns. Let us know if you make any of these unicorn patterns. Follow me @ Pinterest and follow my Facebook Page. « 16 Best Animal Birthday Cake Designs for Kids Party. I’m sure, your niece will be v happy to get one of these.